Banner: Suraksh Entertainments India Pvt, Ltd.
Surya(Nikhil) suffers from a rare genetic disorder called Porphyria which threatens to kill him if he gets exposed to the sunlight. Loosing no hope, Surya chooses to avoid the day time and manages his life during the nights. 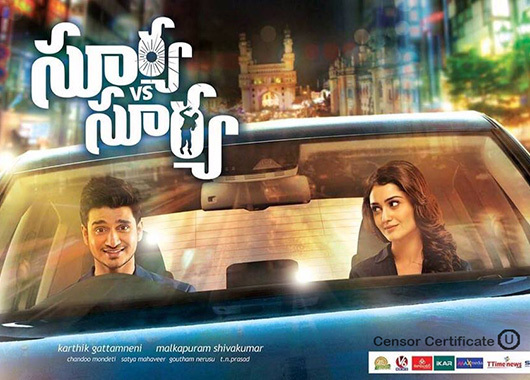 Twist in the turn arises when a TV anchor named Sanjana(Tridha Chowdary) falls in love with him. As time passes by, she comes to know about Surya’s disease and breaks up with him. Rest of the story is as to how Surya overcomes his problems and wins his love back.